Spine-related services are provided in one convenient location. To fully understand and diagnose the existing spine pathology a through clinical examination is vital. To achieve this, physicians at SCC obtain a comprehensive history and carry out an examination and analyze the results of imaging studies and electro-diagnostic testing. Spine-related services are provided in one convenient location. 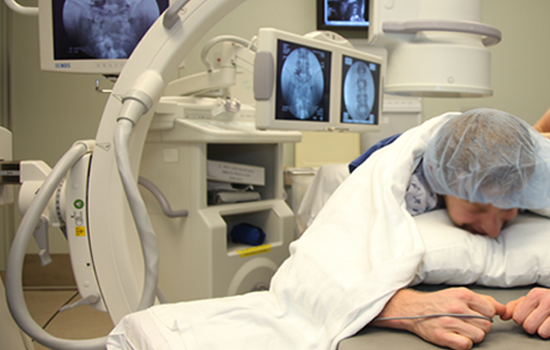 State-of-the-art X-rays and MRI imaging are done in an affiliated Radiology Center. Complex surgical reconstruction, minimally invasive surgical procedures, spine stabilization and fusion and artificial disc replacement are performed with affiliated hospitals in and outside Lebanon (Germany, France, UK and Cyprus). At the Spine Care Centre, non-operative care is often the first course of treatment for those suffering back pain. A combination of non-invasive treatment measures including physical therapy, pain management and alternative medicine is used to reduce pain and increase mobility. This plan for care is also used to assist in managing issues frequently associated with back pain, such as sleeplessness or depression. Early use of non-operative care will speed the healing process.